Enhance visibility of the rear of your car or vehicle with the car blind spot convex rear view mirror with black corners. These mirrors allow you to see through blind spots which help to avoid fatal accidents. The mirrors are mounted on the left and right side of the car to enhance visibility. Further the black borders add style and differentiate these mirrors from the normal ones. They have a size of 2 inch which is universal and fits on all types of car models. The mirrors are convex shaped for a wide viewing angle and include gum tape for easy installation. - Enhance visibility of the rear of your car or vehicle. - These mirrors allow you to see through blind spots, which help to avoid fatal accidents. - The mirrors are mounted on the left and right side of the car to enhance visibility. - The chrome borders add style and differentiate these mirrors from the normal ones. 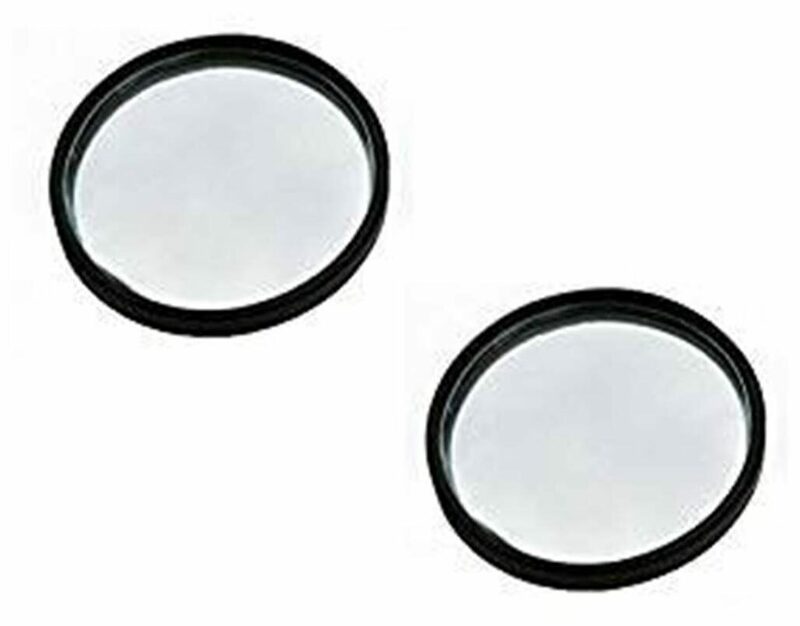 - They have a size of 2 Inch, which is universal and fits on all types of car models. - The mirrors are convex shaped for a wide viewing angle and include gum tape for easy installation.